Heat oven to 350°F. Line cupcake pans with paper liners. Place 1 cookie in the bottom of each cupcake cavity. Make brownie batter according to package directions. Add Holiday chips to batter and stir. Scoop batter into cupcake pans on top of cookies. 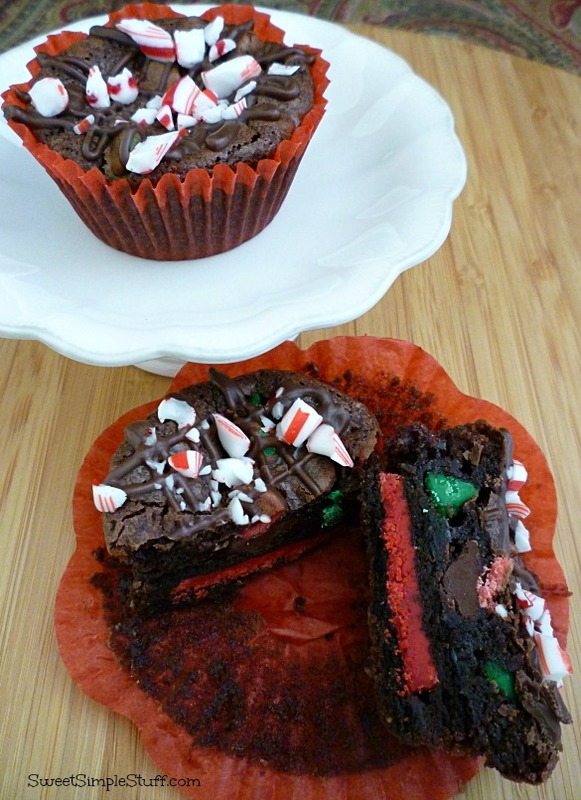 Drizzle melted chocolate on brownie cupcakes (I used a plastic squeeze bottle) and add crushed peppermint candy immediately. 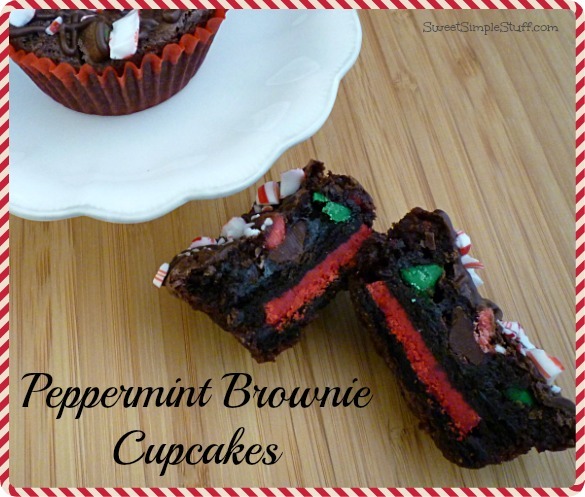 Makes 24 yummy peppermint brownie cupcakes! Peppermint oreo cookies? How cool is that. I always miss on on the good stuff, living in China…. Had the sun out Wed. and Thursday along with warmer temperatures which melted our icy roads and streets and our mail carrier was finally able to deliver mail once again. Had light shower of rain on Friday with cold damp wind yesterday and down in the low 30’s – upper 20’s. I had no idea Nestle had a holiday chip package. I’ll have to look for them. I’ve made caramel filled chocolates, roll out cookies, peanut blossoms and a peppermint chip chocolate cookie so far. I had no idea Nestle made holiday chips. I’ll have to look for them. I’ve made cookies and filled chocolates so far. Some caramel popcorn is on the list yet. 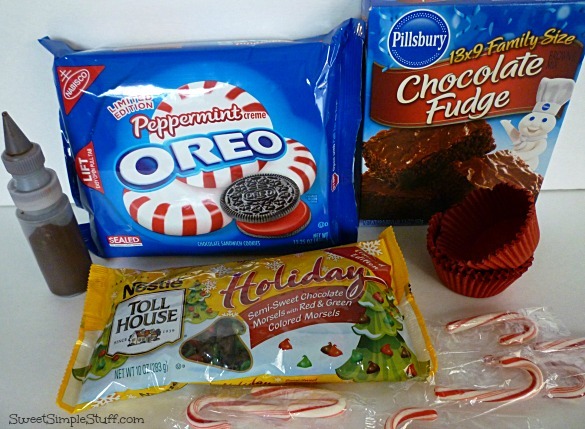 ….MMM I am going to have to try that, they look delicious! I enjoyed browsing your site! Thank you Michael 😉 Your cake looks delicious … thanks for visiting!